Artichokes are a favoured ingredient in Mediterranean cuisine, prized for their delicate flavour and succulent flesh. In this recipe, Francesco Sposito infuses artichokes with the nutty notes of roasted walnuts before stuffing them with a rich Parmesan and pecorino cheese filling. Topped with guanciale (a type of cured pork) and shavings of black truffle, this dish is the epitomy of decadence. 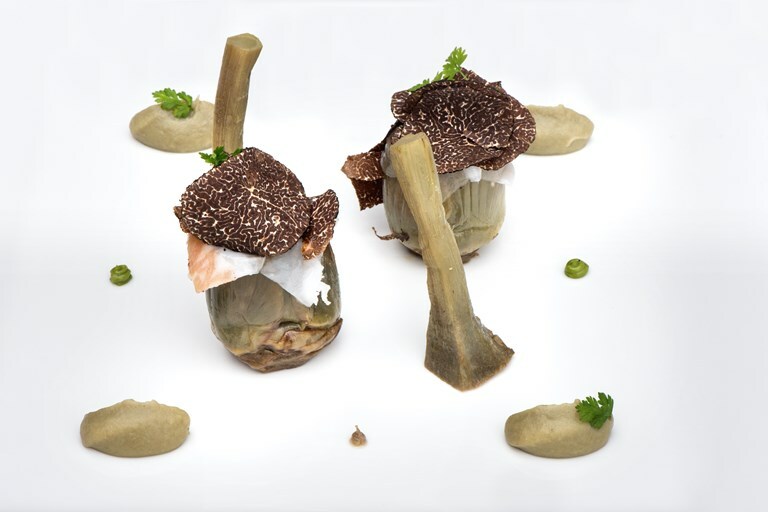 Francesco Sposito became Italy’s youngest two-star chef at the age of thirty-one, cooking his unique reinterpretation of Naples cuisine, with modernist international flair.